Go down the slope and jump into the dragon's mouth. Foot Pad will tell you about their treausre being turned into monsters. 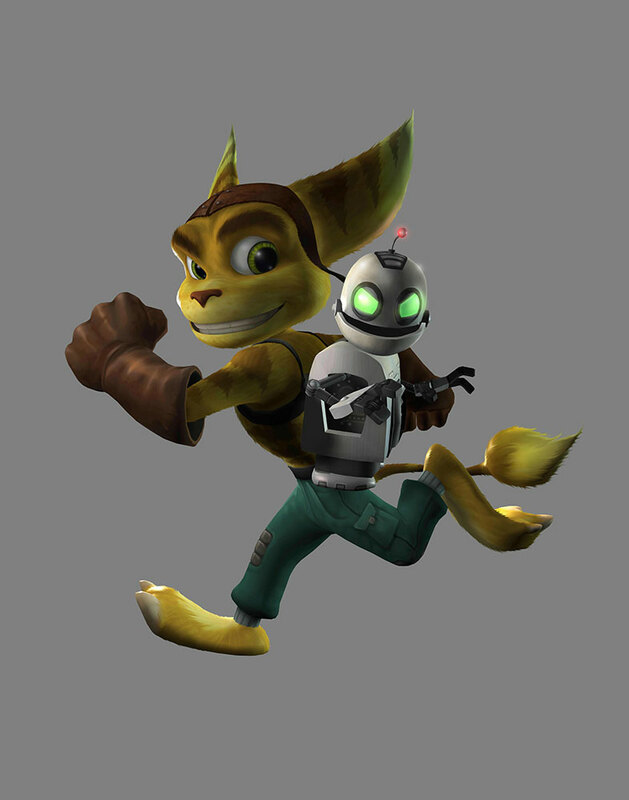 And walking a little way further ahead Sparx will tell you about using your Wing Shield for certain enemies. Up in the next pile of gems you'll spot one that runs off, you'll need to go after this Possessed Gem and kill it to collect it. You'll be finding loads of those all over the level but only of the green gem variety. Oh, and Possessed Baskets, you'll find living baskets as well. Jump the gap avoiding the swinging axe and then towards the Wizard Riptoc standing in the pool. In order to kill him and the nine others like him you'll need to use Wing Shield. Simply get in a position that he'll cast a spell at you and use Wing Shield. Hopefully this will bounce back and hit him, if not you can try rotating Spyro or just moving to a different spot to try and hit him again. Jump over the next gap, you'll meet a Possessed Basket for the first time, then jump over the next gap after that. Again there's a Wizard Riptoc over to the left. Go into the next room, collect all the gems there and then step into the whirlwind. Make sure to get the gems behind you and then waltz off towards Zoe and the third Wizard Riptoc. Kill it and then go up the steps around the room to the fourth one. Kill that and then jump into the whirlwind hidden in the middle of the room. To the left of where you land you might notice that the wall appears to be cracked. It is. Charge into it and on the other side you'll find Wizard Riptoc #5 and a portal. Remember that Platform Puzzle in Crop Circle Country? Well this is just like that except a bit longer. Thief will introduce it for you. The first part is simple, either stand on solid ground zapping all six poles as they go past or jump from one to the other doing the same thing. Either way once all six are done the platforms will change pattern taking you into the central area. Here you just need to zap all of the poles on the platforms circling. And that's it really. If the platform in the middle doesn't come down when you zap the last one, you've missed one. The best way to do it is a layer at a time. Use the second row to go around the outer row zapping them, then use the outer row to zap the second row. Then jump onto a second row to go around the third row. Then up the steps and the four central poles and the platform should lower. Of course this might not work perfectly if the platforms decide to change direction on you. Once on the central platform you can attack the Wizard Riptoc any way you like, for some reason he's not as tough as the ones in the main part of the level. There's only one reward in here. Upon appearing back in the level you'll learn that those Possessed items reappear even if you've got their gems, certainly makes it more annoying that's for sure. Anyway, forwards out of the cave and to the right, up the stepped platforms to the top. From here look to the middle of the room and you'll see three lanterns. On the one on the far right is a green dragonfly. Its name is mixed up with one later in the level. Jump down and go to where the sixth Wizard Riptoc is. A little further up you'll get to a spot with axes swinging between small platforms, and a yellow dragonfly running between them. Once you manage to capture him turn to the left and go into the portal in the middle there. It's a speedway. Sparx recommends rings, thieves, cobras and then finally camels. Me too. Fly through the rings and then bank to the right and circle the lighthouse flaming the Magic Carpets as you go. Once all eight are gone fly down to the right of the lighthouse and along the cobras. At the end of them you'll be at the track, fly down onto it and charge along to the left and into the tunnel. Keep going until all eight camels have been hit. The path for flying is fairly straightforwards up until you get to the tunnel point. The game shows the red dots going around the mountain but you instead need to dive downwards and through the tunnel, there are two stars in here that'll speed you up. You then fly normally up to the lighthouse which you should go around and you'll find a star on the other side of it. That'll take you to the end of the lap. Repeat for the remaining two laps to win. It's just The One race you need to do. Jump onto the platforms ahead and to the left towards the seventh Wizard Riptoc. Down the corridor you'll find the eighth sitting in a pool of water. Continuing on you'll meet Thiefy Yu. He'll tell you to swim and press some switches. Dive on into the water and charge into the four switches in the four recesses underwater. Once they've all been hit a gate will open. Make your way up the side of the room and pick up the key halfway up the slope. Climb the ladder and then glide to the central platform, you'll need to hover. Glide from there to where the gate you opened is. Kill the ninth Wizard Riptoc as well. In the next room gather the treasure and then glide down to the platform below. Keep on going past a whirlwind in the middle of the air to the final Wizard Riptoc. At the very edge here look down to the right and you should be able to see a basket down there. Glide down to it and you'll also find a nice red dragonfly sitting here. Now that should actually be called Over the Edge but it's obviously been mixed up somehow. From where the dragonfly was glide forwards and down to a platform with some gems and a whirlwind on. You'll see ahead of you a green dragonfly, glide over to it. Continue up the platforms and you'll find yourself back near where that last Wizard Riptoc was. Jump down and along back towards the whirlwind to take you back to another whirlwind. Use the platforms up high and get back round to where you saw Martin from. Keep on going forwards another platform and then glide down towards the Return Home Portal and talk to Thiefy Wu to get a dragonfly if you've managed to kill all ten Wizard Riptocs. Gather the gems around the portal and then glide across towards yet another whirlwind. Go into it and then glide across to a Challenge Portal. The first two fires to put out are behind you, glide back towards them, the rest you'll find in the large circular room ahead. Drop down through the floor and into the room below, keeping to the side of course. Grab all of the gems in here and then exit via the window. To the left you'll see various whirlwinds and the very start of the level. Glide to the left along the wall and onto a small platform sticking out. At the end of it you'll finally find the locked chest for that key you found earlier. That should finish off the level, head on back to Dragon Realms and then off to Jurassic Jungle via the temple and Dr. Whiskers' contraption. You could at this point refight Ripto but you don't get anything out of it really, I will however go over it. The atmosphere of this level is nice, but it's bogged down by how annoyingly difficult it is. I got 100% in EtD yesterday and this level was an absolute nightmare, probably the worst to get full completion in out of all of them. I honestly don't know how I had fun with it as a kid. This level is hard and i hate the moving gems. But the music is cool and I like the overall atmosphere. This level is so confusing at the end, there's so many different places you have to go after you climb the high platforms. The music is quite creepy too. The music in the Wizard's Platform Maze sound like a New Age song. I just read that I have to fly AROUND the lighthouse! I HATE racing these stupid thieves! I follow this guide perfectly but that last one always dashes through and beats me! Does the thief take your gems ? He is a thief you know. This is my favorite level but a strange glitch happened here: I catched Jordan while i fell into the botomless pit and after that the game stuck in 1 camera angle and i couldn't pause the game! Strange stuff! THIS LEVEL IS SO FUSTRATING!!!!!!!!!!!!!!!!!!!!!!!!!!!!!!! i am sooooooooo angry right now! I have 64 dragonflies and i've looked everywhere and i can't seem to find any dragonflies left in this god-forsaken place! this level is a pain! i've only got to the platform level and i hate it! oh well.. carry on.. MUST COMPLETE! haa.